To help support the changing needs of organizations across industries and geographies, Oracle today announced a new release of Oracle’s JD Edwards EnterpriseOne. Oracle’s JD Edwards EnterpriseOne 9.1 helps customers further streamline business processes by introducing a personalized user experience, new industry-specific functionality, helpful productivity features and more support for global operations and compliance mandates. Extensive updates in the new release include enhancements such as Oracle’s JD Edwards EnterpriseOne One View Reporting, a breakthrough solution that allows business users to create interactive reports without IT support. JD Edwards EnterpriseOne is an integrated applications suite of comprehensive enterprise resource planning (ERP) software that combines business value, standards-based technology, and deep industry functionality into a business solution with a low total cost of ownership. 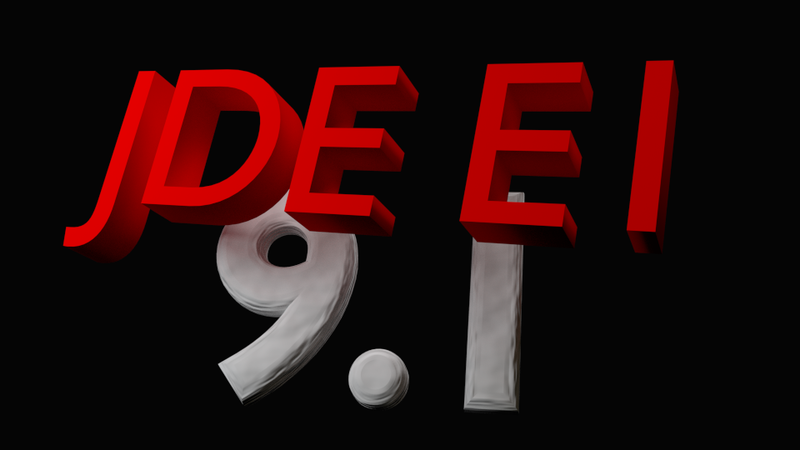 To bolster productivity and business value, JD Edwards EnterpriseOne 9.1 includes user experience enhancements that build upon the extensive features recently introduced with JD Edwards EnterpriseOne Tools release 9.1 such as new productivity updates, deeper industry capabilities and enhanced support for global operations and legislative compliance. Predictive auto suggest search and query refinement capabilities which increases productivity by providing a modern, intuitive user experience. Rich hover functionality that delivers a dynamic and streamlined experience by allowing users to hover over enabled data to view related information without navigating away from the current page. Application personalization which enables employees, customers and suppliers to interact with the applications based upon their own preferences. Mobile smartphone applications that extend user choice and help improve productivity by allowing users to perform their jobs anywhere, anytime. JD Edwards EnterpriseOne One View Reporting which spans the JD Edwards ERP footprint enabling end users to quickly gain business insight while delivering 178 pre-defined reports providing answers to some of the most commonly asked business questions across the enterprise. Voucher matching capabilities that can improve productivity and efficiency by automatically matching supplier invoices with purchase order receipts through rules-driven automation. Requisition self service capabilities that increase flexibility by allowing managers or end users to delegate the entry and receipt of requisitions to other employees. A project manufacturing enhancement that provides visibility and demand tracking throughout the manufacturing process allowing users to review all related supply orders impacting an end customer order to help ensure the project stays on track. Electronic batch record and device history record enhancement which provides life science customers with support for FDA validated manufacturing processes by providing an audit trail over incident capture and resolution. New industry-specific business processes and capabilities for organizations in the food and beverage, agribusiness, real estate and professional services industries that support compliance requirements and enhance business productivity. Support for Global Locator Number (GLN) which helps organizations in consumer goods and other industries facilitate legislative compliance to seamlessly manage regulations. Country of origin tracking at the individual lot and serial number level that enables streamlined reporting by supporting import and export documentation requirements. Available as part of standard maintenance, JD Edwards EnterpriseOne 9.1 supports upgrades from Xe and higher releases of JD Edwards EnterpriseOne, and migrations from Oracle’s JD Edwards World A7.3 and higher.